Often times a consumer holds a belief about a brand that they are unable to pinpoint without engaging with the brand itself in real time. By injecting the consumer into the real purchasing location and discussing the brand among other consumers, perceived strengths and pain points can more easily be recognized by both consumer and researcher. 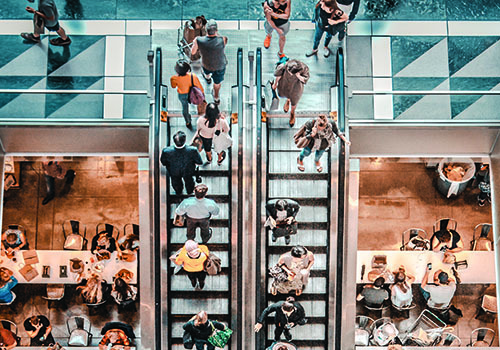 Russell Research’s Retail Safari combines the dynamic and flexibility of a focus group with the contextualization and detailed insight of a shop-along to capture the nuances of shopping, as well as the factors that influence them. Retail Safari is Russell Research’s proprietary method in which consumers participate in moderated focus group discussion during travel to and between retail locations, where they then engage in in-store shop-along tasks. Throughout the safari ‘journey’, qualitative insight is curated through high-energy activities and engaging discussion. The method allows us to simulate the real shopping experience and supplement it with deeper group discussion to maximize understanding throughout various stages of the purchasing process, and illustrate how purchase behaviors change in different situations.